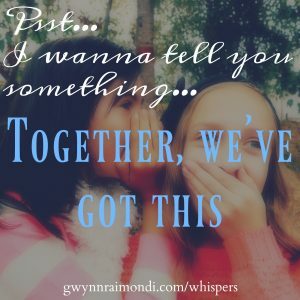 As I have moved more and more of my social media time over to Instagram, I had been feeling the call to create images for these whispers and so they have moved on to their next iteration. I hope you enjoy them! If you’d like to learn more about me and my work, you can go to my about page here.